While Hatch Medical, L.L.C. takes reasonable steps to ensure that the information provided on this Website is reliable, we make no representation that such information is accurate, reliable or complete. We provide this information only for your private use and we may change the contents of this Website without notice. We do not make any warranties (whether express or implied) of any kind whatsoever with respect to this Website, or any information contained on it. 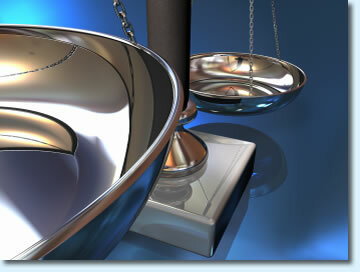 As a result, we do not accept any obligation or responsibility for any errors or omissions. This Website and all material contained within it are copyrighted and all rights are reserved. The copyright and all other rights in all of the material on this Website are owned by Hatch Medical, L.L.C. as specified on the relevant web page or the material is included with the permission of the rights owner. You may reproduce material on this Website for your own private or domestic use only. You may download or reproduce in hard copy individual pages and/or sections of the Website, but you must not remove any copyright or proprietary notices in doing so. Such reproduction will not transfer title to any software or material to you. You may not, without our prior written permission, reproduce (wholly or partially), transmit (by any means whatsoever), modify, link into or use for any public or commercial purpose any material provided on the Website. This Website contains links to external and independent websites. If you access such links you may leave this Website. We accept no responsibility for the content of any such external websites you may access nor for any reliance placed by you or any person on the information contained on such external websites. Hatch Medical, L.L.C. and its risk-sharing partners are not joint venturers, and act as independent contractors. Therefore, neither Hatch Medical, L.L.C. nor its risk-sharing partners assume any liability for one another, and each party is independently responsible for its own actions and performance.